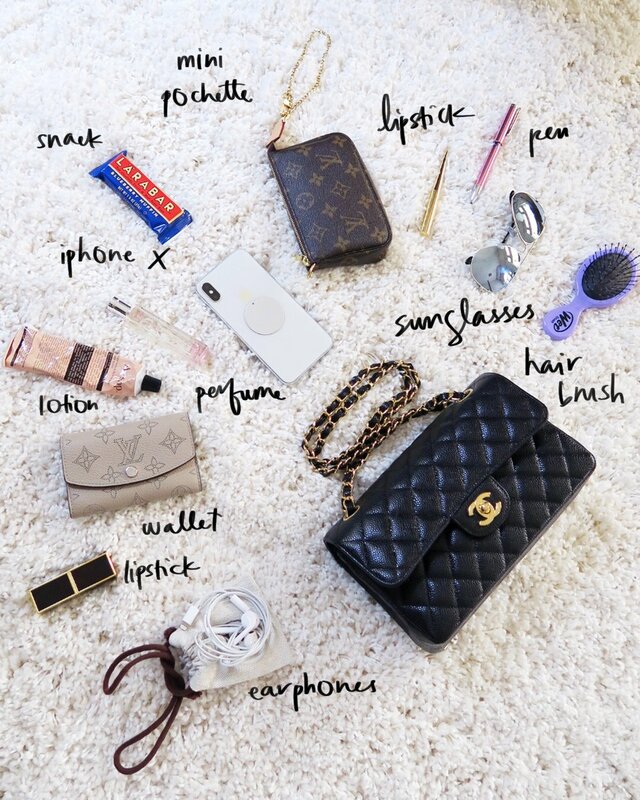 Today I’m going to show you how to fit all these items in the Chanel Small Flap!! JUST KIDDING. Lol! Cmon, are you crazy?? You know there’s a second flap in there, right? I also occasionally fit my sunglasses (in a soft pouch). But it’s kind of annoying to have to stop in the middle of walking wherever I am, put the sunglasses in the pouch, and then put it in my purse. Does anyone actually do that?? Most of the time I just hang my sunglasses on my shirt neckline. I know a lot of ladies like to use a card case with the Small Flap or Mini, but to be honest I don’t think you need a card case. I just put my cards in the little slip pockets of the purse (those slip pockets aren’t much good for anything else, lol). Standard credit / business cards fit vertically into the pockets, and they’re EXACTLY the right size for the bag to close without damaging the flap. I was really paranoid that the credit cards would be “too tall” and scratch or stretch the flap, but I checked 138430 times and I can confirm, they fit. I’ve had my Small Flap since August 2017 and I’m very happy with her! 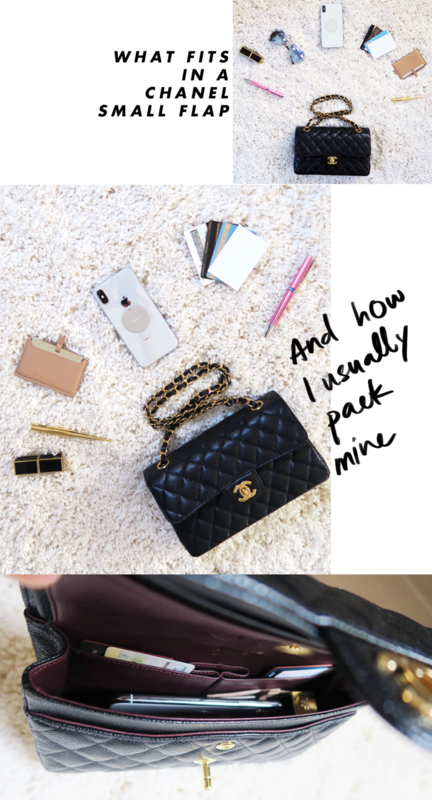 There’s a perfect Chanel bag size for everyone… and the Small is the one for me. I’m 5’3" and the list above is exactly what I want to carry everyday, regardless of whether I’m using a clutch or a tote bag. I know the Small Flap isn’t very popular because it’s priced a little weirdly. Most people would rather go slightly smaller (the Mini) and save appx $1k, or go slightly bigger (the Medium) for just a bit more $. But I say, look deep into your heart and don’t be swayed by such earthly concerns and get what you truly want!